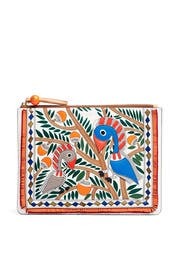 Colorful toucans impart tropical vacation vibes to this embossed Tory Burch pouch. 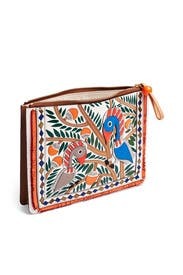 Orange leather pouch with applique toucan detailing at front. 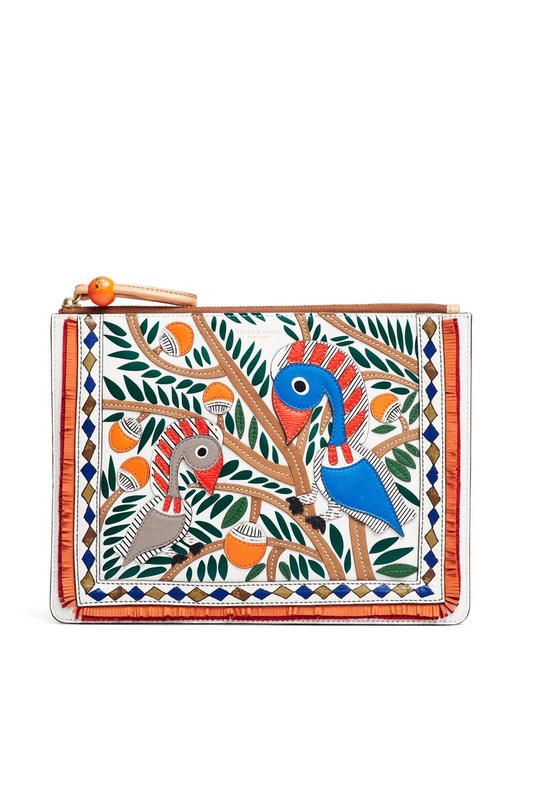 Top zipper closure, one exterior slit pocket, and one zipper pocket. 8.17"H x 10.16"L x 1.2"D.